Uber’s highly anticipated IPO prospectus reveals that Google parent company Alphabet will be a big beneficiary of the ride-hailing firm. Alphabet is one Uber’s top shareholders, with a 5.2% stake that could be worth upwards of $5 billion if Uber hits its expected IPO valuation of $100 billion. Uber's S-1 filing reveals other financial ties as well: It paid Alphabet hundreds of millions of dollars in advertising, infrastructure and mapping services over the last several years. Despite pouring money into its own mapping projects, Uber still relies significantly on Google Maps. It paid Google approximately $58 million for mapping services between 2016 and 2018, and wrote in the risks section of its filing that those services are “critical to the functionality” of its platform. “We do not believe that an alternative mapping solution exists that can provide the global functionality that we require to offer our platform in all of the markets in which we operate,” the company writes. Uber also shelled out for marketing and enterprise services. More than half a billion in advertising isn't nothing for Uber, which lost $1.8 billion in 2018, but it’s a drop in the bucket for Google’s overall ad machine, which made $32 billion in advertising revenue last quarter. The company spent $3.1 million since January 2017 for the ride-hailing service to promote Google Pay, its mobile wallet, within its app. Overall, the two companies have a complicated relationship. Alphabet’s early-stage venture arm GV invested about $250 million Uber in 2013, and Google executive David Drummond even joined the board. However, the companies’ bond became strained as as they began to compete on self-driving car technology, spurring Drummond to resign from his position in 2016. A year later, Alphabet’s self-driving car arm, Waymo, sued Uber over trade secrets, sparking a messy legal battle that ended in a settlement in February 2018. Along with Alphabet’s financial windfall, the S-1 appeared to give Waymo additional legal victories. A California arbitration panel reviewing Waymo’s claim against Anthony Levandowski, the former Google and Uber engineer who sparked their high-profile 2017 fight over trade secrets, determined on March 26 that he is on the hook for a $127 million award to Waymo. Uber, which acquired Levandowski’s company and brought him in to oversee its self-driving car project, said it’s contesting whether it’s obligated to pay some or all of that potential settlement, which may also include court and legal fees. Additionally, an independent software investigator brought in to assess whether Uber’s driverless car system used any technology originating from Waymo found “certain functions in our autonomous vehicle software that are problematic and other functions that are not,” Uber said. “If these interim findings become final, they could result in a license fee or in design changes that could require substantial time and resources to implement, and could limit or delay our production of autonomous vehicle technologies,” Uber said in the filing. Alphabet shows up a handful of times in the risks section of Uber’s filing. 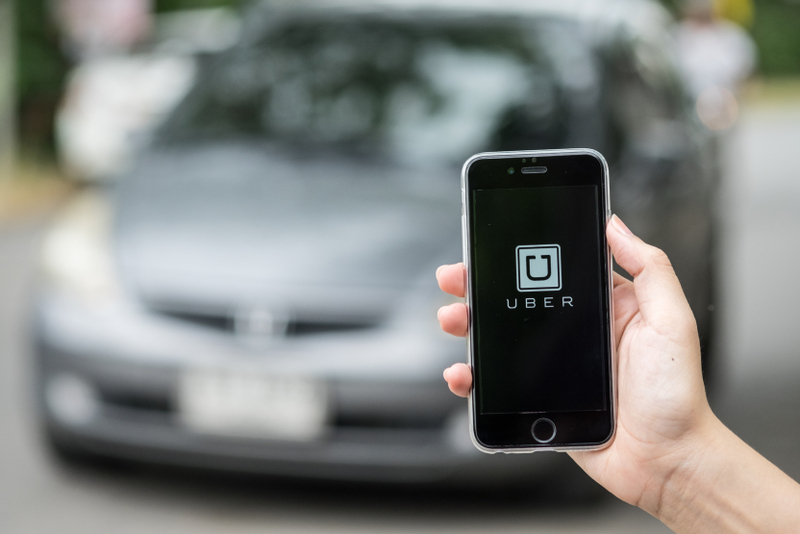 In addition to the mapping example, Uber also cites its reliance on Google’s app store, Play, and Apple’s App Store, as a risk, writing that it can’t guarantee that the two companies won’t start charging fees to download its app. Waymo is name-dropped as a competitor, too, along with a host of other companies working on self-driving capabilities. Meanwhile, Alphabet also owned a large stake in Lyft, one of Uber’s main competitors, when it went public last month.